Today we welcome Sara L. Foust to my blog. 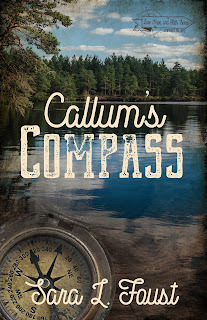 Sara is very graciously giving away a ebook of Callum's Compass to one commenter. To enter, leave a comment about your favorite place for vacations -- and include contact information. Sara, glad to have you stop by. Tell us about Norris Lake and your new book. Norris Lake plays a fairly big part in my debut novel, Callum’s Compass. And it has definitely played a big part in my life. I feel like I grew up on this gorgeous lake. As far back as I can remember we were playing on its green waters. Before my parents and my aunt and uncle owned boats, we would rent pontoons and take them out for the day. When my aunt and uncle decided to buy property along the lake, it became our every-weekend hangout. We had bonfires and cooked out, played all day on the clean water, and, once we were a bit older, even had some midnight swims by firelight. I have a lot of good memories and have a large portion of the upper end of the lake committed to memory. Each turn and cove holds a special memory. Like the straightway where my uncle threw my cousin and I off the tubes on a huge wave and we vowed never to tube again (that didn’t last long). Or the other inlet that we canoed into and found a bunch of turtles basking on logs. There’s one that holds a rope swing if you’re brave enough to climb up and swing off a big rock. And the cliffs are down near Mountain Lake Marina. It takes a sturdy stomach and brave legs to climb up and jump from them. My aunt and uncle built a house on that same property a few years ago, and what a blessing it has been for our family. Not many people I know have such one-on-one access with our beautiful Norris Lake. We lost my uncle Jim to brain cancer two years ago. It was a hard one to swallow. He was young, too young for a brain tumor, and he was the life of the party. It was always Uncle Jim’s music that floated from the speakers on the boats, drifting out over the placid waters. Jimmy Buffett and Eric Clapton, mostly. And his laugh that judged our diving contests. His spooky stories that held us in suspense around the campfire. And his knowledge of the area that led us into all those dark caves by flashlight. Our first lake trip after we lost him was bittersweet. My book is dedicated to Uncle Jim. His fingerprints, if you knew him, are throughout the story. From the style of clues for the treasure hunt to the cave that Kat visits searching for answers. My hope is that readers will see my love of nature shine through, especially in the descriptions of the lake I dearly love. And that they will find inspiration in the story of Kat’s journey from guilt to healing while she searches for the literal treasure. Tag line: Facing betrayal, wild animals, meth-addled drug makers, and their own fears, can Kat and Ryan discover the golden treasure and God’s love? Sara writes Inspirational Romantic Suspense from a mini-farm in East Tennessee, where she lives with her husband and their five homeschooled children. She earned her Bachelor’s degree in Animal Science from the University of Tennessee and is a member of American Christian Fiction Writers and Tennessee Mountain Writers. Her debut novel Callum's Compass won second place in Deep River Books' 2017 Writer's Contest. She also has a story, “Leap of Faith,” in Chicken Soup for the Soul: Step Outside Your Comfort Zone. Sara finds inspiration in her faith, her family, and the beauty of nature. When she isn’t writing, you can find her reading, camping, and spending time outdoors with her family. To learn more about her and her work or to become a part of her email friend’s group, please visit www.saralfoust.com. 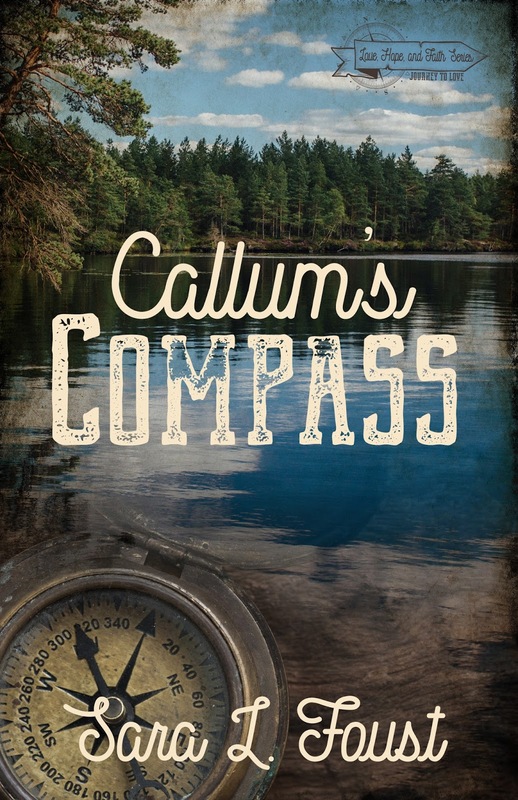 Nice to read more how Callum's Compass developed into a story. I have this book on my TBR pile. thanks for sharing, Sara. Checking to see if my library has this book! Yay! Thank you so much, Marilyn! Oh! I would love to go to Italy some day! Thanks for commenting! I read this book and loved it. One of those books that stay with you even when you are through. I left 5 star reviews and highly recommend that you put it at the top of your TBR pile. One of the best books I've read in the past year. Wow! Thank you so much, Pat. I so appreciate all your support and encouragement! Thank you, Rose! If you do read it, I really hope you love it. I would LOVE to visit Ireland. It seems like such a magical place and certainly beautiful too! Interview with Lynne Tagawa and #giveaway!!! Guest post by Christina Miller and #Giveaway!!!! Interview with Sigrid Fowler and #giveaway! !